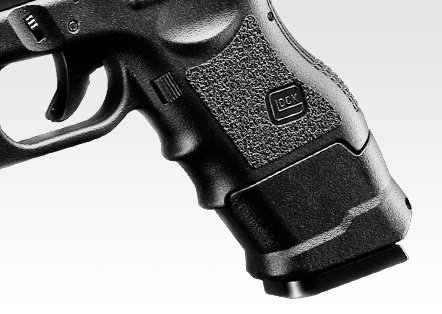 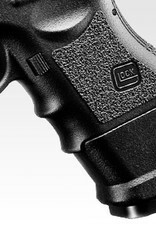 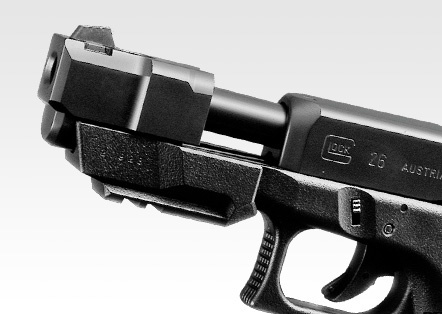 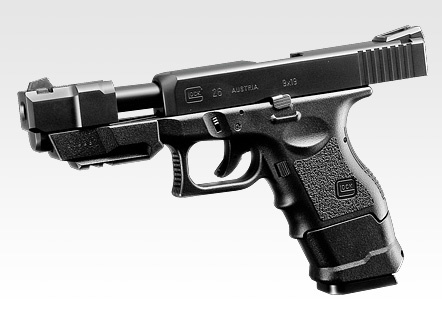 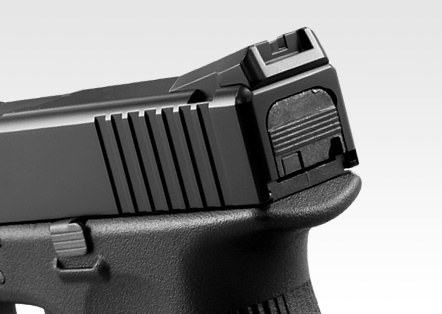 The Glock 26 Advance is an adapted Glock 26 equipped with an under rail, a compensator and extended hand grip. 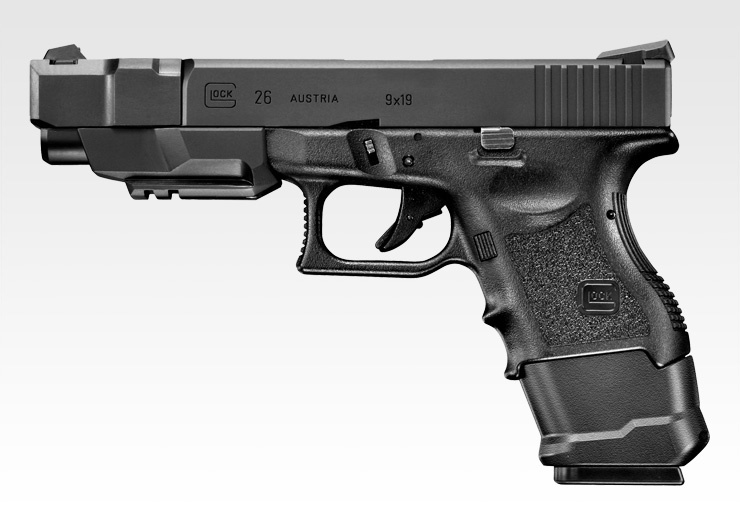 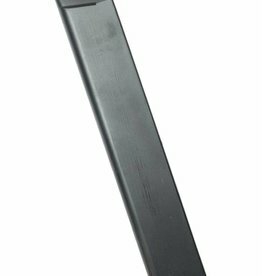 In comparison to the Glock 26 the Advance model is 34mm taller and the distance between the front and rear sites is increased by 40 mm. 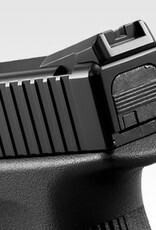 The distance between the sites improve the stability of the ballistics and enables more accurate sightings. 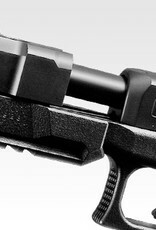 The 20mm Picatinny under rail can be equipped with various aftermarket accessories for tactical edge in skirmishes. 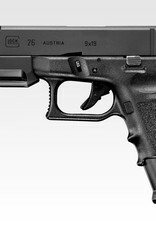 Powerful blowback: Intense reaction at launch. 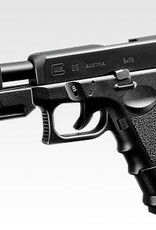 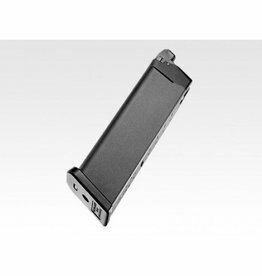 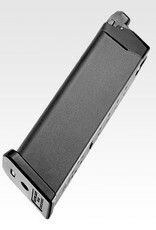 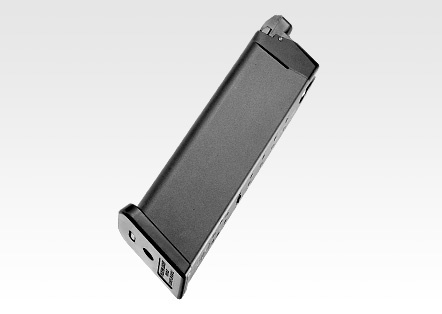 Accepts 25 and 50 round Tokyo Marui Glock magazines.